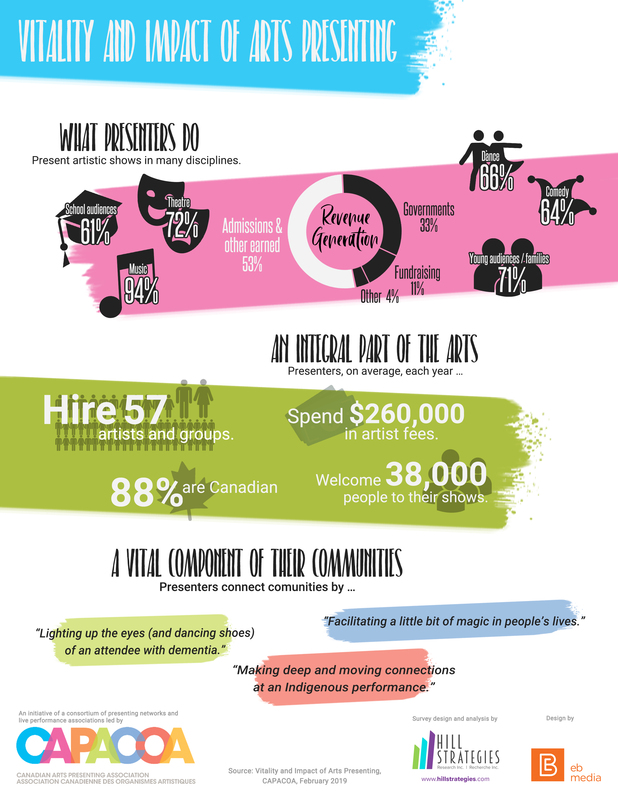 Vitality and Impact of Arts Presenting is the outcome of a pan-Canadian survey of performing arts presenters and festivals led by a consortium presenting networks and associations, and conducted by Hill Strategies Research. It mobilizes knowledge about the scope, vitality, economic impact, and practices in the presenting sector. 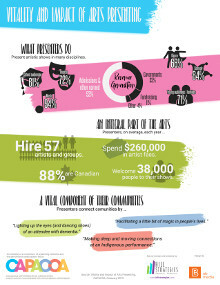 The report casts a light on a broad range of presenting practices and the magic that they bring into Canadians’ lives. 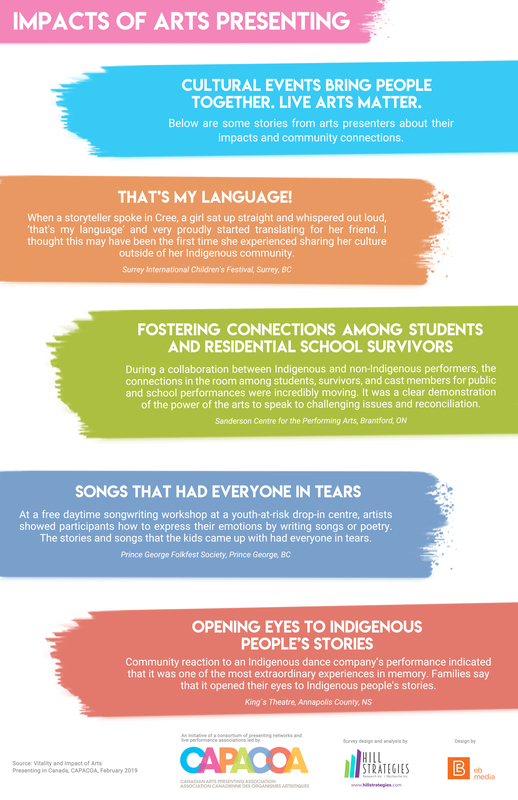 A communications toolkit was put together to help the sector tell the story of its vitality and impact. It includes copy, infographics, many design elements and html coding that can be used on websites, in social media or in newsletters. 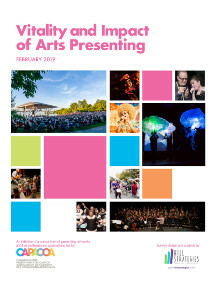 Inquiries about the Vitality and Impact of Arts Presenting may be directed to Frédéric Julien, Director of Research and Development, CAPACOA.